An important tangible asset of folk culture designated by the Japanese government. Opened in 1890. A playhouse built entirely of cypress. 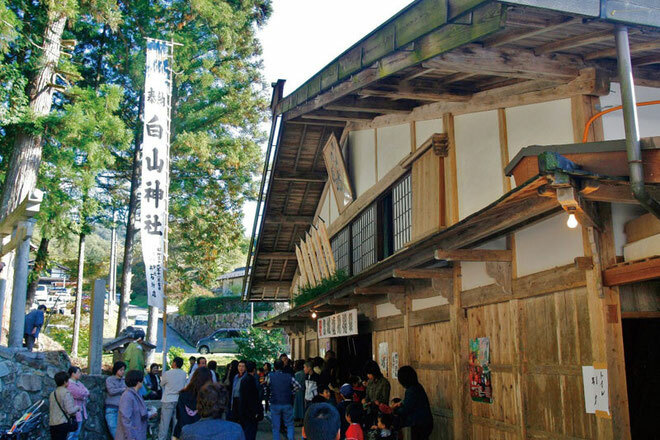 Originally an open air shrine stage during the Edo period, the present Hakuun-za was rebuilt in 1890. Constructed entirely from Japanese cypress, the theater features a rare "koma-mawashi" style revolving stage, dual hanamichi, and suppon stage lifts. 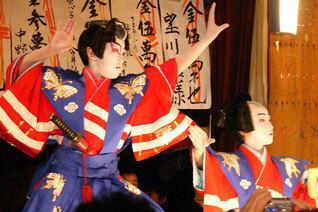 Annual ji-kabuki performances occur every November 2nd and 3rd. 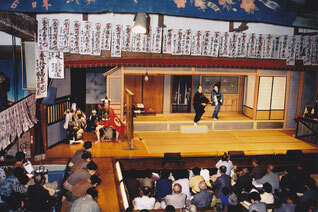 Usually only the exterior is available for viewing, but it is possible to view ji-kabuki practices with a reservation. Designated as a National Important Tangible Folk Cultural Property. From Chuo Expressway Nakatsugawa I.C.-1’15min.